It's that time again...the 2011 National Championships hosted by the USGTSDA and World Dang Soo Do Union will be held near beautiful Virginia Beach, VA on June 24-25 on the campus of Virginia Wesleyan College. A weekend of sun, sand, seminars, and a competition full of goodwill, camaraderie and fun! 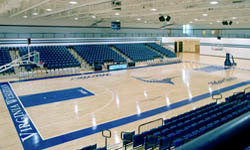 The Tournament will be held at the Jane P. Batten Student Center a 137,000 square foot, state-of-the-art facility that is a hub of activity on the campus of Virginia Wesleyan College. 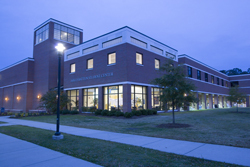 The Batten Center provides numerous venues for recreation/athletic activities, like a 36 foot tall rock climbing wall, Outdoor Rental Center and 2,000 yard Par 3 Disc Golf Course, Aquatic Center with 25 yard, 8-lane pool, hot tub, saunas and locker rooms. 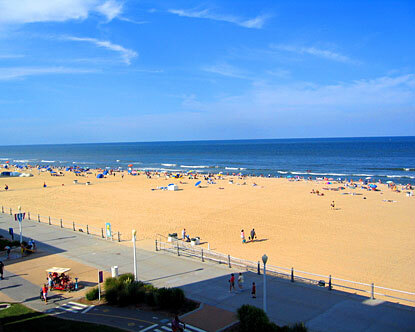 Beautiful Virginia Beach is a short drive from the tournament location and we hope families will take advantage of this event to plan a family vacation with fun filled activities like surfing, kayaking, trail hiking, oceanfront yoga, fishing (off and inshore), golf, biking, lighthouse tours, and many others. 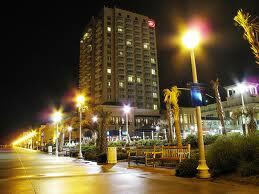 We’ll also be close to historical landmarks Jamestown and colonial Williamsburg. 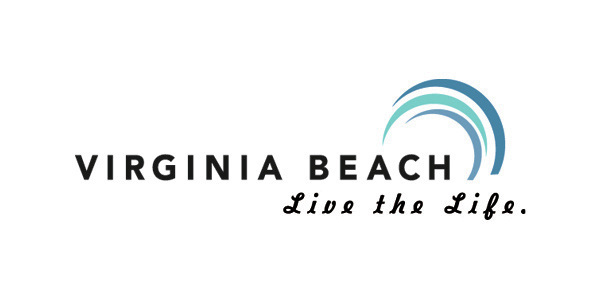 Visit http://www.vbfun.com/visitors/default.aspx for more information on Virginia Beach! Check back often for more information about the tournament, clinic, registration and travel information. Train with Grandmasters and Masters from around the US (all ages and ranks) in two back-to-back clinics on Friday night. 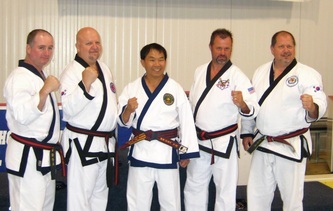 Choose from subjects including advanced tang soo do forms, korean sword, self-defense, tournament forms presentation, and gracie combative techniques.. Click here for instructor and clinic information. Competitors ........................................................................... Included with Registration! 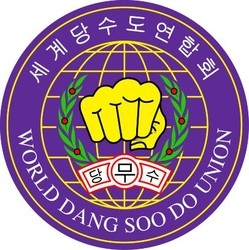 The United States Goodwill Tang Soo Do Association is pleased to offer the following BLOCKED ROOMS/ACCOMODATIONS: the Quality Suites Lake Wright, the Sleep Inn Lake Wright, and the Red Roof Inn. The Quality Suites Lake Wright and the Sleep Inn Lake Wright are connected with one main lobby. The Quality Suites Lake Wright features suites offering a separate bedroom with either two queen size beds or one king bed, microwave, coffeemaker, refrigerator, iron & full-sized ironing board, hairdryer, sitting area with sofa and work desk, two remote controlled 25” color televisions with cable & complimentary HBO, free local calls, free wireless and HSIE, Indoor/Outdoor Heated Pool, Ample free parking, Guest Laundry, Convenience Store, Lobby Restaurant & Bar, Fitness Center, 18-Hole Golf Course on Premises, complimentary airport shuttle from Norfolk International Airport, and a complimentary full hot breakfast buffet. The Sleep Inn Lake Wright features guest rooms offering either two double beds or one king bed, mini refrigerator, coffeemaker, iron and full-sized ironing board, hair dryer, desk, 25” remote controlled color television with complimentary cable and HBO, free local calls, free wireless and HSIE, walk-in oversized showers (no tubs), Indoor/Outdoor Heated Pool, Ample free parking, Guest Laundry, Convenience Store, Lobby Restaurant & Bar, Fitness Center, 18-Hole Golf Course on Premises, complimentary airport shuttle from Norfolk International Airport, and complimentary deluxe continental breakfast. A hot breakfast buffet upgrade is available at $6.00 per person. The Red Roof Inn features free wi-fi/local calls/long-distance calls in the US/up to 10 fax pages in the US, award winning bedding, outdoor pool, large work areas, microwave/micro-fridge, free complimentary breakfast, free Red Roof Coffee Bar and USA Today newspaper, coin laundry facility, children under 17 stay free, pets stay free, irons and hair dryers available at the front desk.